This post brought to you by Groupon Gift Shop. The content and opinions expressed below are that of A Spectacled Owl. I am admittedly not the best gift giver in the world. I always stress out, trying to figure out what is the best gift for the person I am giving it to, am I spending enough money or not enough, and so on. Christmas sometimes gets me pretty stressed and overwhelmed but I have to try to remember what the real meaning of Christmas is all about and remember that gift giving is supposed to be fun and show the person how much we care. Whether you are giving a gift to your spouse, your kids or someone else on your Holiday List, Groupon can help you by bringing you great deals on local places that are great. Groupon has everything from dinners, wine tastings and hot air balloon rides to getting behind the wheel of a race car or skydiving (plus anything else you can think of!) 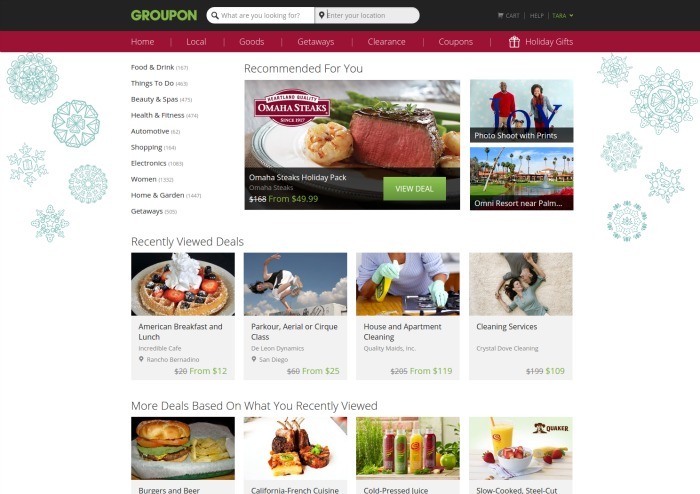 What I love about Groupon is not only is it great for giving gifts to people that live close to you, it’s also easy to type in the zip code of the person you are shopping for and see what is available in their area, as well. Having 3 kids without the comforts of their own home (read unlimited wi-fi, video games, etc), plus homeschooling and trying to help me with anything extra I needed, it was stressful for us all. So, I wanted to show my kids how much I appreciated all that they had done in the month that we were up at my grandparents. 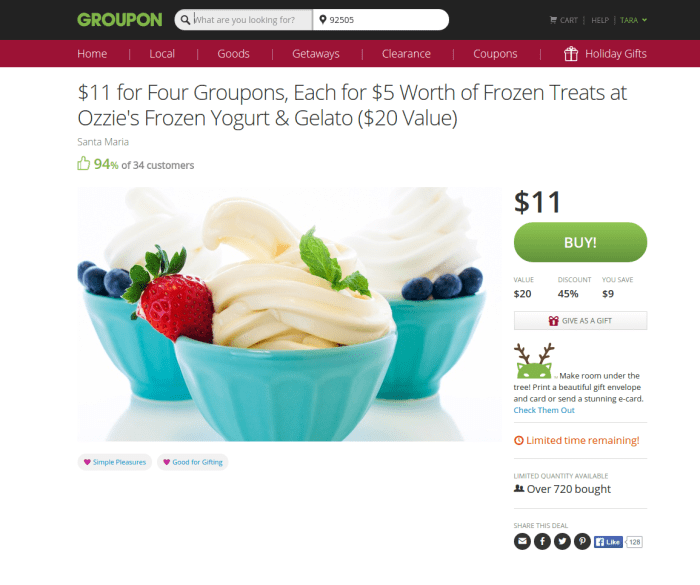 I headed over to the Local section of Groupon and found a frozen yogurt shop (our favorite dessert!) that we’d driven by a bunch of times but didn’t have time to stop. I went ahead and bought a Groupon that would allow us to get $20 worth of fro yo and it only cost me $11! I didn’t want to just give the kids fro yo, I wanted to make it a special afternoon. 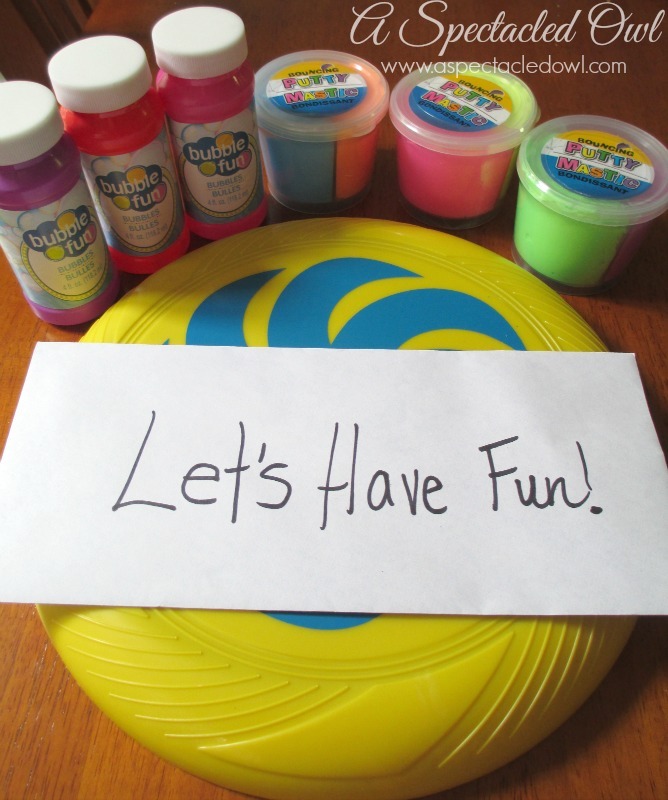 The next time we were at the dollar store, I bought us a frisbee, bubbles and some bouncing putty to play with outside. The whole treat only cost $18 and we had such a fun afternoon, proving that not every gift has to be a big expensive one! If you are trying to think of what to get your loved ones for the Holidays, head on over & check out Groupon, you won’t be sorry! While you’re there, you’ll be able to see lots of great gift ideas that other bloggers like myself have bought for their own friends and family!